Velezita: Hometalk Meetup at Luckett's Market! Hometalk Meetup at Luckett's Market! I will definitely SMILE a lot if I win. I know it's asking a lot, but then again, it will only take a minute of your time and think about how good you'll feel about yourself if I win! I mean, your own selfless act will be the only way I have a chance. So really, they should send you too. But life isn't fair that way. If you want a chance to win then you have to blog about it and get ten people to sign up for you. Then I will be home because you won. And that is not fair either. So really, the whole thing is no fair, but it could be so great! After all that smiling I might find a place to sit, still smiling. 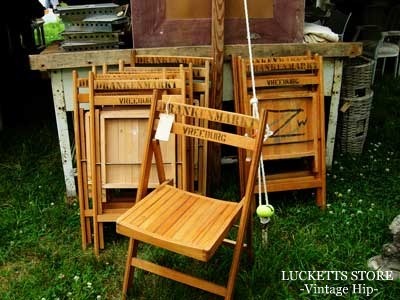 I really want to go to Luckett's, like for real. I got to see it once. Sort of. 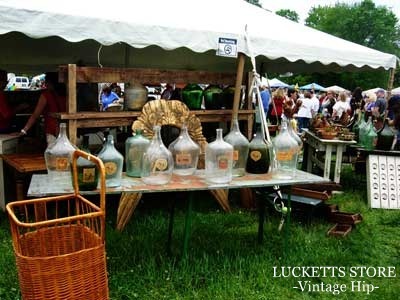 We had gone to Washington D.C. and on the way home we took an extended detour to Luckett's. Except by the time we got there it was closing in a few minutes. I did get to see Miss Mustard Seed's room upstairs, while she had a room, so that was cool. Now I would L-O-V-E to go and see her in person, and that is the main #1 reason I would love to win! 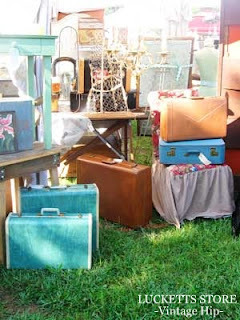 It's not just at Luckett's (so cool) but Marion (Miss Mustard Seed) will be there AND Donna, from Funky Junk Interiors (swoon!) So much amazing all bunched up together! Oh, and did I mention The Graphics Fairy will be there, too? No? Well, yes, Karen will also be at the Hometalk Meetup! If you know me well, you know this is my kind of place! Now, a whole day (at least) at Luckett's, Marion, Donna, Karen, probably lots of other awesome people, and I'm also betting on learning a lot. What better way to spend a weekend? I can't think of one. 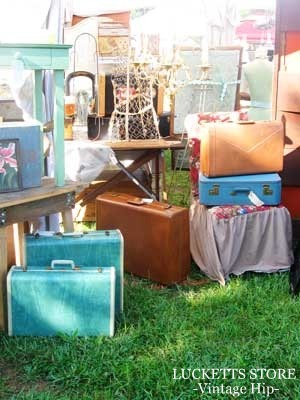 Can you spot the treasure you would want? Hometalk is the largest online home & garden knowledge hub. It’s fueled by the firsthand experience & advice of hundreds of thousands of home enthusiasts and professionals. (taken right from the horses' mouth, so to speak) And this is what makes it so great. It's sort of like Pinterest, but better, when it comes to home stuff. 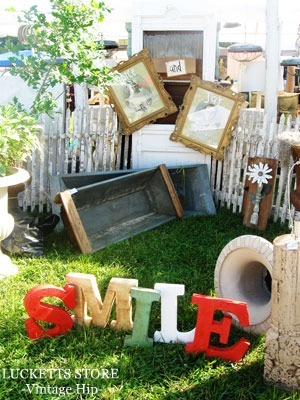 Whether you are looking for inspiration or you need guidance, you can find it at Hometalk. So, yes, this is where I beg. Please, please, pretty please with sugar on top go sign up at Hometalk and follow me: Tammi on Hometalk. Don't worry about being new on Homtalk, I'm kind of new there myself. I signed up a while ago, and had not used it much yet. But that's okay, there's plenty of time for me to use Hometalk. And I like it because it feels a bit more intimate than pinterest. People are really there to find new things and answer questions, give advice, and be supportive. Who doesn't appreciate all of those things? Did you already sign up and follow me on Hometalk? Did you? Huh? If you already did, give yourself a huge hug from me. And allow yourself an extra treat, because being nice burns calories. I Raised My Kids, Now What?